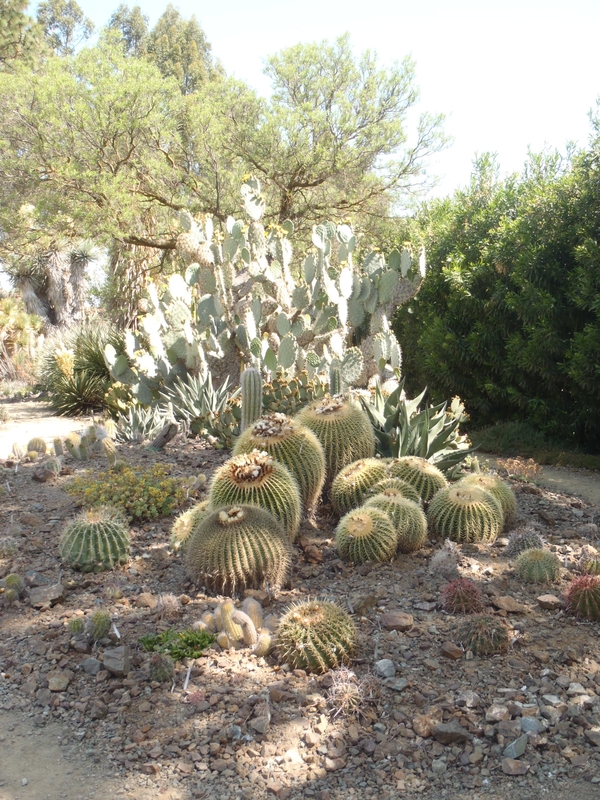 So after much research, including nearly every book about the broad subject of succulents (or at least it felt that way! ), we decided to provide an overview of the 3 types and then show examples of each type – focusing on one in particular, the seemingly ‘most popular’ or certainly prevalent in this area, the stonecrop family. Succulents. Almost everyone is familiar with the term. 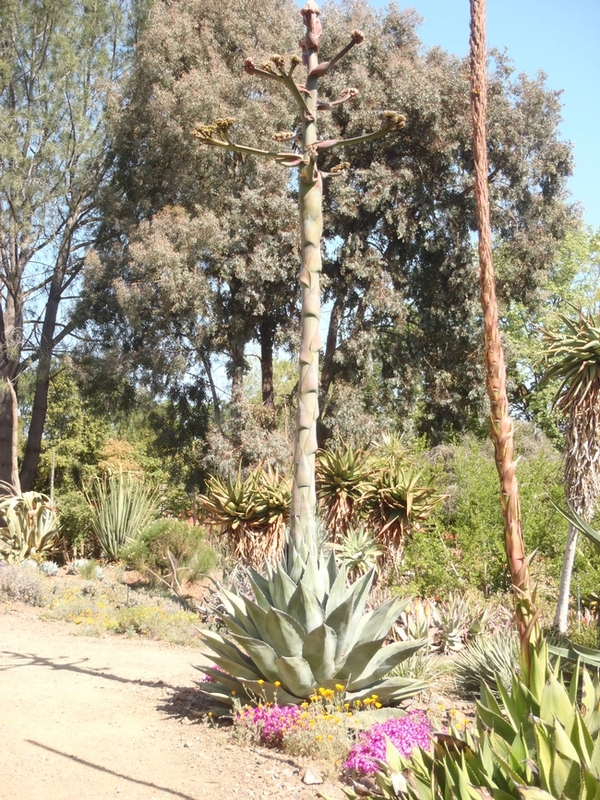 Yet questions such as “is that Aloe a member of the succulent family?” reveal basic misconceptions on the part of many people as to just what a succulent is. The core of the problem here is that the term “succulent” is merely a descriptive term and not a scientific classification. Thus any plant that has evolved swollen water-storing tissues as a protection against desiccation is succulent by definition, regardless of what family it belongs to. 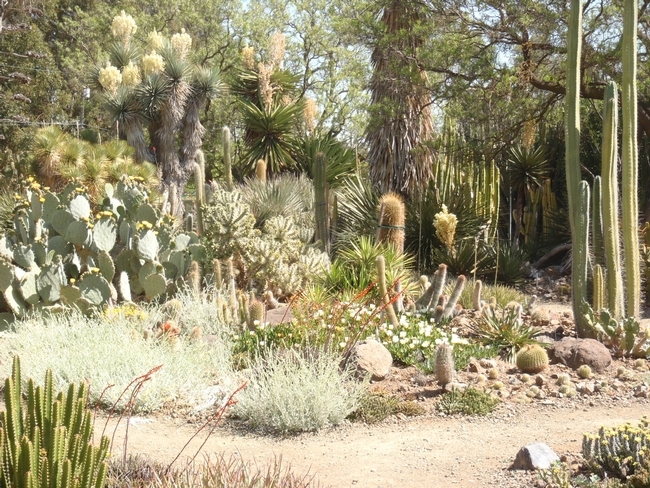 A few families, such as the Crassulaceae (the stonecrop family, which includes plants such as the Hen-and-Chicks and jade trees) are composed entirely of succulents. But in many other cases, succulence occurs only in certain groups of a family of largely non-succulent plants. The three types of succulents are leaf, stem and root, and as you might surmise from above (or perhaps already know), the plants store water in each of these areas, and in some cases two areas. 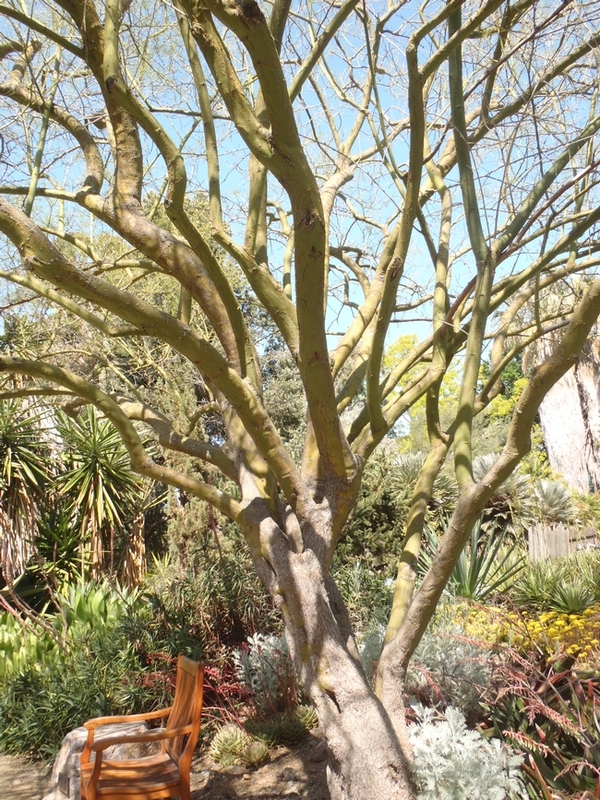 An example of this is the jade tree, which is both a leaf succulent and a root succulent. And as you can see in the picture above, succulents come in all shapes and colors, which can add a lot of beauty to your garden or landscape. 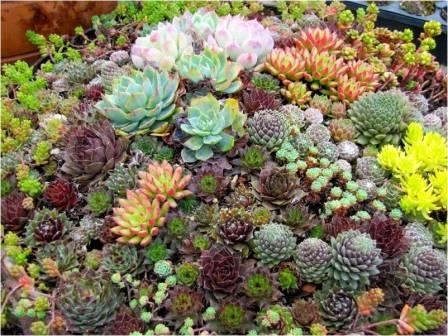 I think one of the biggest lessons that we learned in researching this topic is that succulents are extremely forgiving and are therefore a great choice for any gardener … beginning gardeners will love the ease of planting them (break off a piece from your neighbor’s beautiful plant — with their permission of course! — and just put that right into the ground), and seasoned gardeners will appreciate their beauty and variety. Plus in these times of water-wise landscaping everyone will appreciate the fact they don’t require a lot of water very often. So, whether around your property or in pots, my research shows that succulents are nearly a perfect planting option! Oh, but a word of caution, don’t be fooled by these beauties below as I almost was …. the invasive Ice Plant of the Aizoaceae Family. This plant offers a variety of beautiful flowers, tolerates blazing sun and spreads quickly, but the latter is exactly why you should avoid it! It will take over your entire yard, so buyers beware! During my teenage years, the head lifeguard at the pool that I volunteered at, used to bring a group of us teenagers to picnic and swim at Heather Farm in Walnut Creek each summer. 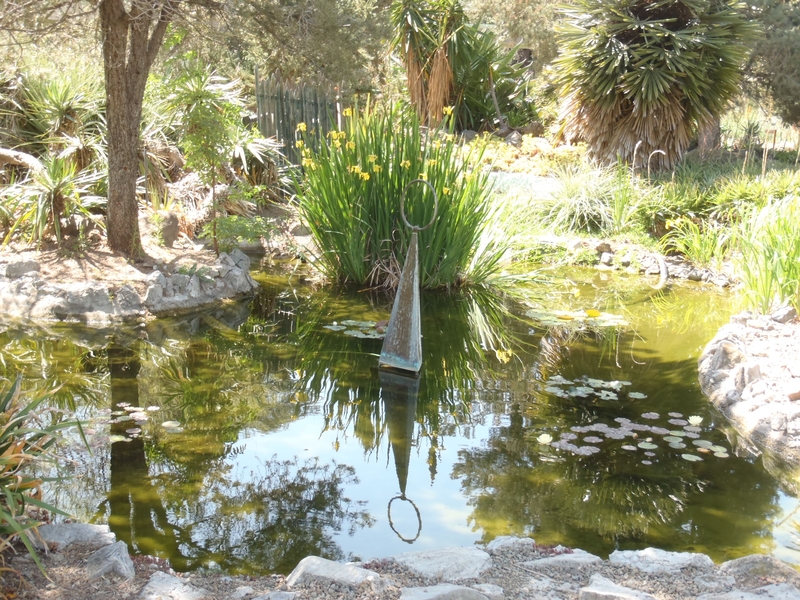 As such, I have always associated Heather Farm with those memories, not realizing that Heather Farm also included a beautiful 6-acre garden, which I had the pleasure of visiting recently. Like The Ruth Bancroft Garden that I blogged about recently (also in Walnut Creek, just minutes from The Gardens at Heather Farm), Heather Farm Park and The Gardens at Heather Farm were named after the original ranch located on the very site, and fancifully, the ranch owners' prized race horse, King Heather. 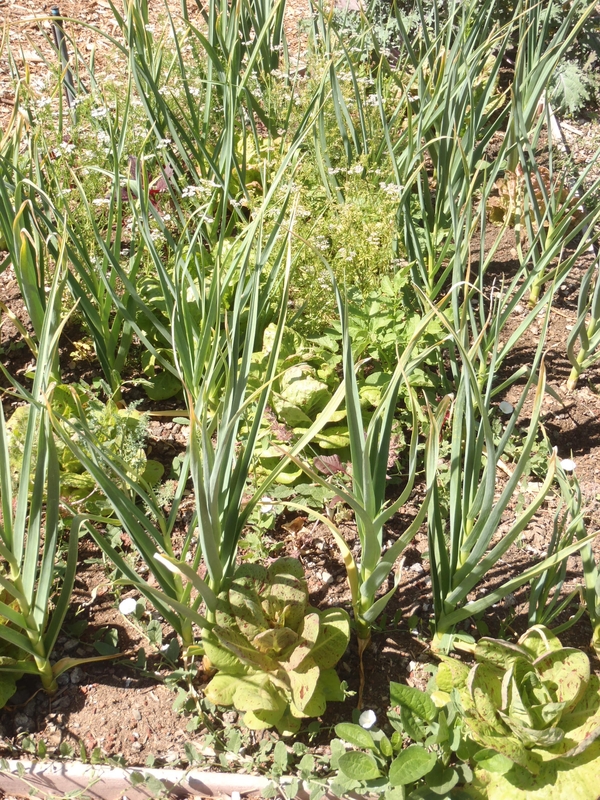 There are 20+ gardens of varying sizes and themes in all, managed completely without the use of pesticides. 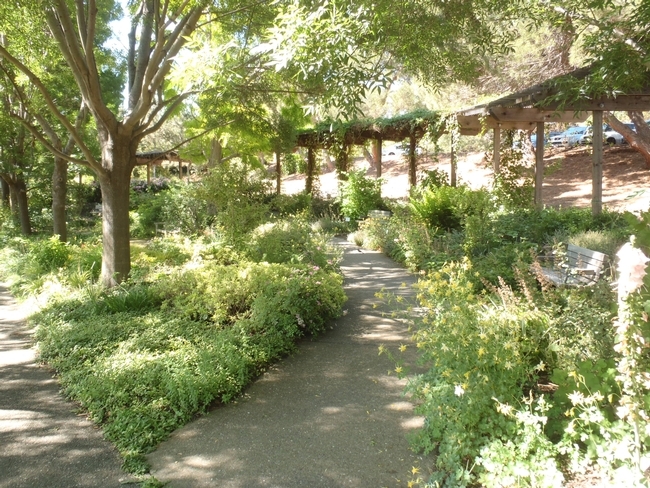 To give you an idea as to what you should expect to see and experience, the following is a list of gardens/plots on site: The Ruth Howard Entrance Garden, Native Plant Garden, Diablo Ascent Garden, Tree Grove, Ash Tree Alley, Stroll Garden, Meadow Garden, Heritage Garden, Mother’s Garden, Black Pine Garden, Ward Garden, Cowden Rose Garden, Waterfall Garden, Rockery, Butterfly Garden, Mural Garden, Children’s Garden, Riparian Garden, Water Conservation Garden, Sensory Garden, and the Blue Star Memorial Garden. 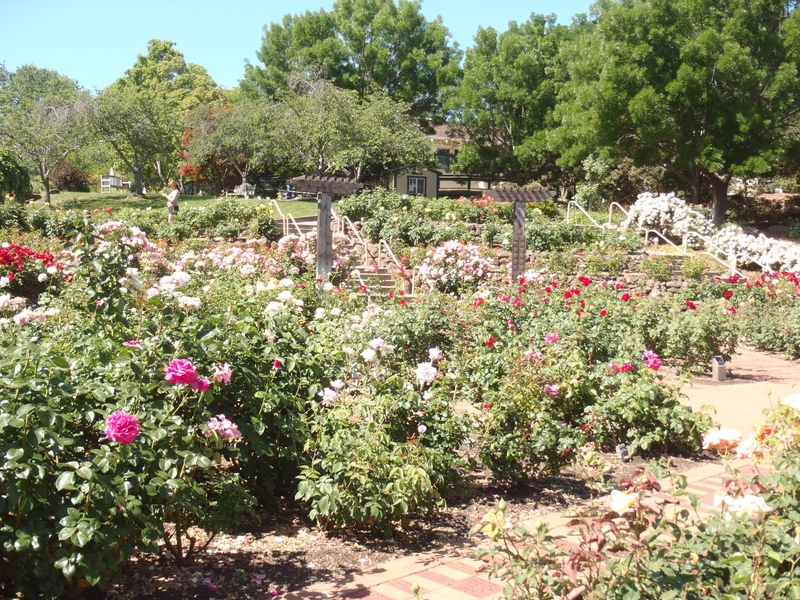 Some highlights of The Gardens include the very beautiful and showy Cowden Rose Garden that takes center stage the moment you enter The Gardens (Tip: now is a great time when everything is in bloom!). Equally beautiful, but more understated, is the shade garden. 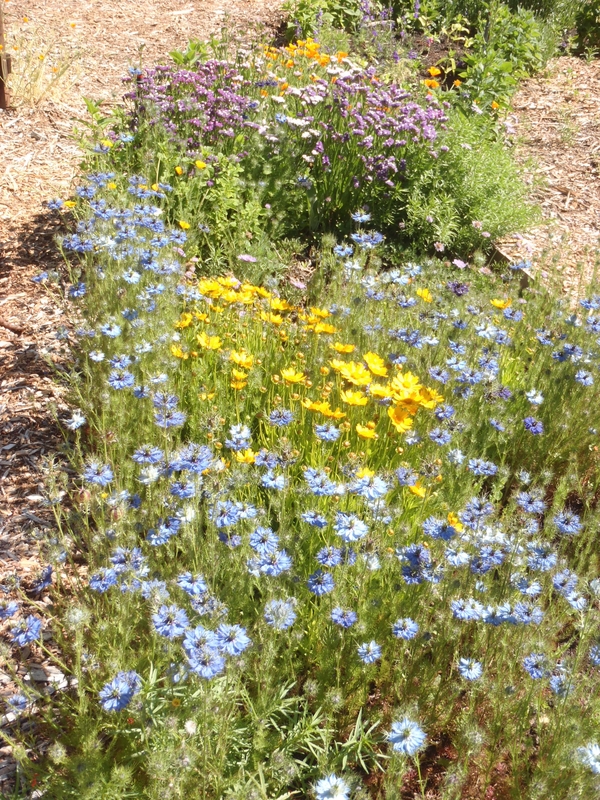 There is a section for California native plants, a tree grove, and a small patch which integrates edible plants with ornamentals—always one of my perennial favorites. With how beautiful and well-maintained The Gardens is, it is hard to believe that the grounds are managed by a volunteer-based nonprofit employing a small part-time staff. It would seem that an army would be necessary to maintain the site as well as they do. 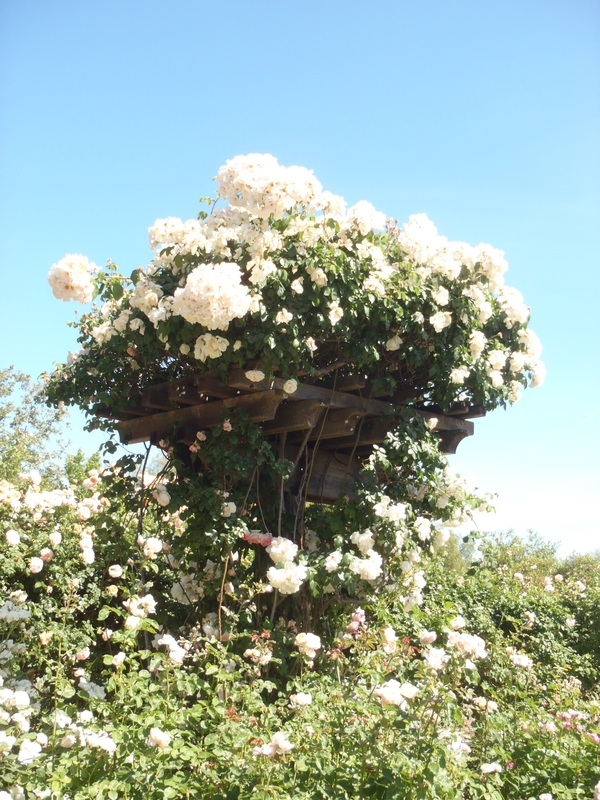 Now is a wonderful time to visit as most everything appears to be in bloom. So on one of those warm afternoons where you are at a loss for ideas of what to do, where to go, consider packing a picnic lunch and visiting The Gardens at Heather located at 1540 Marchbanks Drive, Walnut Creek, California. For more information, see http://gardenshf.org/.